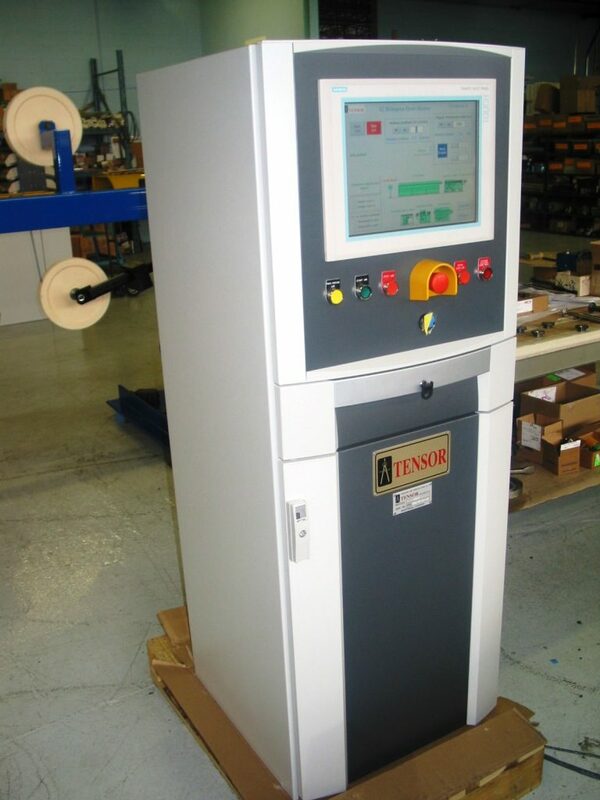 Controls | Tensor Machinery Ltd.
We use cutting-edge technology to develop the most reliable control systems for every piece of Tensor equipment. 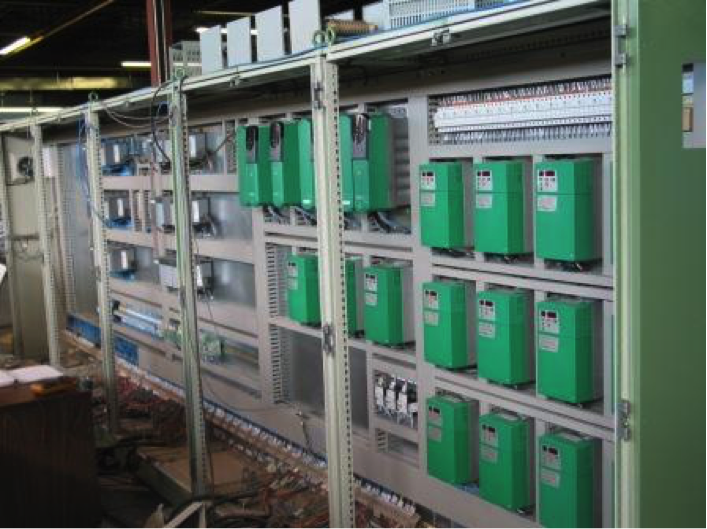 Whether we’re integrating our equipment into an existing line or building a complete new line, we work with our clients to produce a control package that meet their needs. Touchscreens operator interfaces are used in the majority of our equipment. 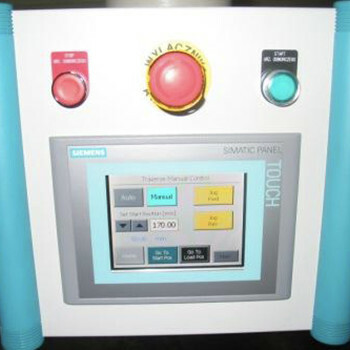 Our screens can be custom designed and labeled in a foreign language if needed. We typically use Wonderware, WinCC Flexible or RS View as the main interface software, depending on the customer needs and the scale of the project. Up-to-date controls and flexibility are just some of the high praises given by our customers. All our electrical cabinets meet the current UL and CSA requirements. 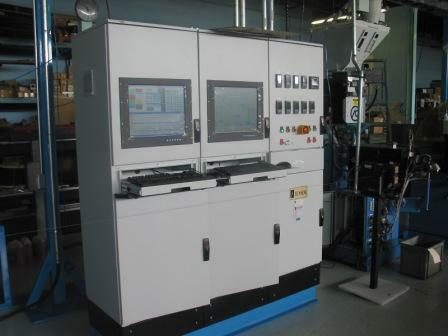 We can also produce EU certified equipment at your request. We follow the sound engineering practice of keeping the main bus electrical separate from the drives, the PLC, and other electronics. 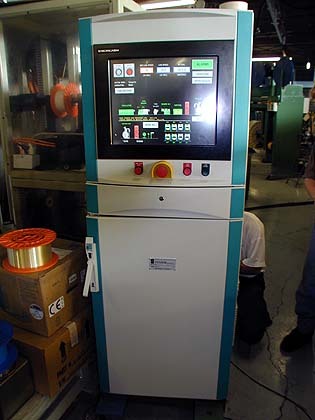 Our cabinets and control systems are well labeled, making each wire or component easy to identify. In fact, the wiring numbers are directly related to the electrical schematics, so anyone working on the line can quickly troubleshoot. 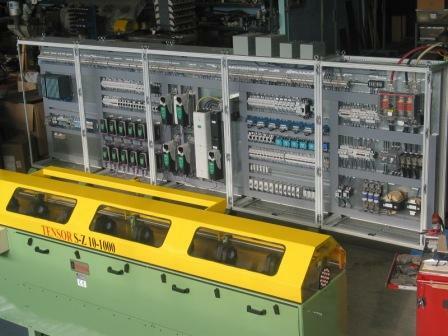 We integrate a number of PLCs and drives into our systems but prefer Allen Bradley and Siemens PLCs and AB, Control Technique or Yaskawa drives, depending on the application. The drives can also be connected together with the latest fiber optic and Ethernet connections. 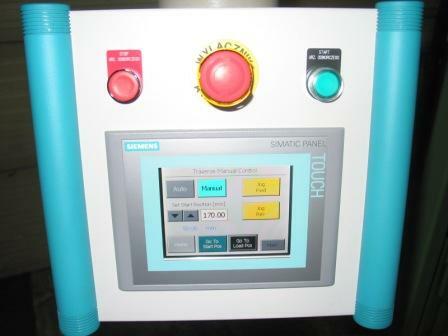 For more information on our control systems, please contact us.